TOPIC: - Remote Sensing, Digital Image Processing and some electronics instrumentation projects. The summer training for IV semester was completed from Defence Laboratory, Jodhpur a Research Laboratory under Ministry of Defence, Defence Research and Development Organization. The work place allotted within the laboratory was Remote Sensing Group. The group is essentially engaged in activities related to Remote Sensing, Digital Image Processing and some electronics instrumentation projects. INTRODUCTION: The main activity of the group in which I was placed was remote sensing. The Remote sensing data is obtained from various satellites such as Indian Remote Sensing satellites, LANDSAT of USA, SPOT satellite of France, IKONOS of USA etc. This data comes in different resolutions. The data needs lot of processing before it can be used for analysis of ground cover or details of features on ground. Software for processing of satellite data was demonstrated to us along with ways and means of analysis. The group is also engaged in development of instrumentation and our area of specialization being electronics we were given training in electronics. SCOPE: The training was aimed at imparting understanding of instrument design using intel’s 8751 microcontroller and I was specifically directed to develop a RPM Counter. SHORT TERM: The short term objective was to develop RPM Counter using intel’s 8751 microcontroller. Ø Learning Microprocessor hardware and software through lectures/ discussions. Ø Familiarization with development environment. Ø Issues of signal compatibility for sensor connectivity. Ø Working with 7 segment displays and drivers. Ø Constructing the circuit on general purpose PCBs. ACHIEVEMENTS: The objectives of the training outlined above were achieved. A RPM Counter for the given sensor was constructed and tested. With additions such as calibration etc. it can be a functional unit. CONCLUSION: The objectives of the training were completely achieved. 1. 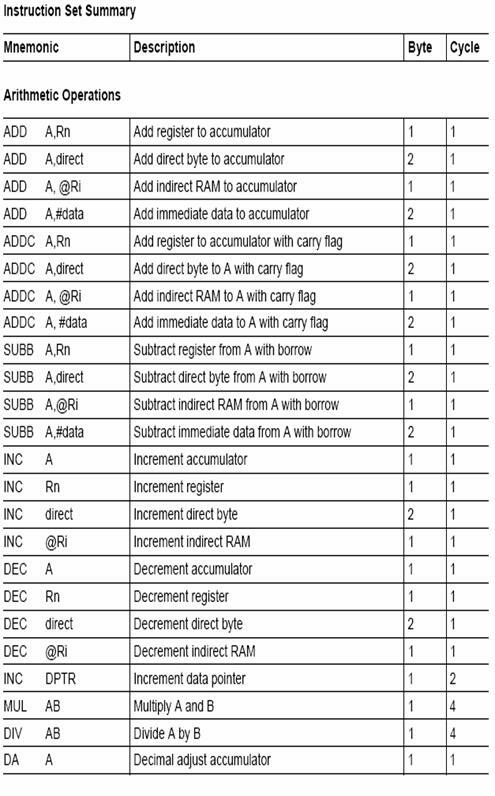 Intel’s Data sheets on 8751 microcontroller. Remote sensing in the present context can be defined as a tool for getting information about the terrestrial objects from a platform placed at sufficiently high altitude. The field of remote sensing came in prominence after 1950. The availability of multiple data acquisition techniques and data analysis systems made this possible. The remote sensing techniques enhance the capability of human observer. The limitation of line of sight, hindrance caused by undulations of terrain, obstruction of view by natural or artificial objects etc. are automatically overcome as the sensor is at a much higher height than most terrestrial objects. This has become possible due to data acquisition in limited and narrow spectral bands, near IR and thermal IR imaging, microwave imaging etc. Remote sensing of an area requires: 1. A platform, 2. Suitable Sensor, 3. Data collected from the platform, 4. Some ground based information for assisting the process of information extraction and 5. A computer system along with necessary software for data analysis and output generation. The platforms can be of wide variety. Cherry picker, Balloons, Aircraft, and satellites of commercial and secrete nature are commonly used platforms. The use of Cherry packer and balloons can yield very high-resolution data since the altitude is low in comparison with other platforms. These platforms are however inconvenient to collect data and not suitable in defence applications since placing these in adversaries area is out of question. The Aircraft is a convenient means of data collection. It can yield high-resolution data and can be deployed for reconnaissance flights. Unmanned aircraft can also be used in specific applications. The aircraft however is susceptible to anti-aircraft missiles. Satellites are the most convenient means of data collection. Commercial data products of any location are readily available and the resolution of these data products is day by day increasing to suit military applications. Recently the IKONOS satellite has been announced with 1m resolution. This resolution can enable detection capability to detect even a single tank placed on ground. These may include aerial cameras, aerial scanners, Satellite based imaging scanners etc. The imaging may again be done in any range of electromagnetic spectra e.g. Microwave, Visible, Near IR or Thermal IR. Depending on the altitude of the sensor and the scanner used the resolution of the data changes. The resolution or pixel size is defined as the area represented by a single data point. The spectral specifications include number of bands and the spectral response of each of them. Details on this topic are discussed in the lecture on SENSORS. The following figure illustrates a typical data acquisition system used in remote sensing. The platform shown is a satellite. The sensor shown is a typical scanning imager. The satellites, which are generally launched in the sun-synchronous orbit, revolve in plane orthogonal to the equatorial plane. The satellite while passing over any locations scans the ground in the different spectral bands. The reflection from the earth surface is digitized and the digital data is transmitted to the data receiving stations. Processing of any two dimensional data is termed as image processing. Such data may be satellite scanner imageries, X-ray photographs, temperature profiles of an object, CAT scan images, aerial scanner data or any other two dimensional data. This is a wide definition and includes image processing by visual as well as digital means. The part of image processing that shall be discussed in this lecture is digital image processing. Optical image processing tools are also used, which are convenient and fast. The limitation of optical processing is the complexity of the systems and their inability in generation of outputs of statistical and numerical nature. Quantification of parameters using optical processing is difficult. Digital image processing techniques can be further divided into seven sub-sections. These are, 1. Image representation, 2. Image transforms, 3. Image restoration, 4. Image enhancement, 5. Image reconstruction, 6. Image analysis and 7. Data compression. The origin of the data is a continuous image i.e. analog image. The analog image is suitably scanned to generate the digital equivalent of the image. In some cases e.g. satellite or aerial scanners the sensor itself generates digital output. For true representation of the input the sampling must be done at greater than Nyquist rate. Any details of spatial frequency above the frequency decided by the sampling rate will be lost and create input noise for other details. The sampling must therefore be optimally done to reproduce all the relevant details in the scene. Each number in the matrix represents an area in the scene. E.g. in IRS IC PAN Images a data point represent 5.8m * 5.8m area on the ground. The data point in the digital image is termed as ‘PIXEL’. The representation of image data is done in many formats. The above shown representation is one such model. This is known as matrix format of representation. Other methods are Fourier/ or Walsh transform representation, statistical models, and neighborhood models. These models are useful for noise removal, feature extraction, classification, edge detection etc. For the purpose of mathematical processing the images are needed to be transformed to suitable orthogonal set of functions. Similar to the one-dimensional signal processing many orthogonal set of functions are used in case of image processing also. The transformation to orthogonal set of Eigen functions is essential for estimating the response of any system to an unknown input. If the input and the system response both can transformed to the basic Eigen function set then the response of the system to any input can be predicted as the sum of the response of the system to Eigen functions with change in multiplication constant or Eigen number. 1. Translation of input results in phase shift in the output. 2. Rotation of input results in rotation in the transformed image. 4. Fast algorithms are available for implementing the transformation. This transform is particularly useful for spatial frequency filtering. The other transforms that are widely used are Walsh transform, Hadamard-Walsh transform, Cosine transform, Sine transform, Slant transform and KL transforms. The KL transform differs from the other set of transforms. The Eigen functions of transformation in this case are derived from the derivative (Statistical) of the input image. Such transforms are known as Hotelling transforms. The hotelling transforms are specifically suitable for application in data compression and analysis. The reduction or removal of aberrations in the image caused by imaging system is called image restoration. Aberrations in the image caused during image acquisition can be different. 1. Focusing: The imaging system if not properly focused shall blur the image. Usually this type of aberration is circularly symmetric and can be easily removed with the help of Fourier transform filtering. 2. Non-linear quantization: If the analog to digital converter of the imaging system does not have linear response over the range of input light intensity the resulting image is said to have non-linear quantization error. 3. Motion blur: The blur caused in the image due to relative motion of the object and the camera/ imaging system this aberration is produced in the output image. 4. Geometric distortion: Geometric distortion is specifically related to the remote sensing data. Here the sensor is seeing a wide area of the earth surface from very high altitude. The distortion in the output image may be caused due variation in altitude of the sensor, change in the angle of the sensor, tilting of the platform on any of the three axis etc. The curvature of the earth also adds the error in the planar output. The generalized approach of the image restoration technique is as follows. The mathematical model shown in Fig. 2 represents the imaging system. f’(i, j) is the output image. h(i,j,l,m) is the point spread function of the imaging system. g(n) is the quantization function. However, it is not always possible to implement this function. 2. The solution may result in unrealistic output terms. The most popular means therefore are constrained solutions based on statistical methods. One such solution is the Wiener filtering technique. The requirement of using this technique is a-priori knowledge of mean, variance and noise distribution. Pixel based image enhancement: The operator used in this type of enhancement operates on the magnitude of the pixel without considering any other pixel values. The most commonly used operations are contrast stretching, noise clipping, bit slicing and negative formation. The contrast-stretching operator stretches the distribution of magnitude of the pixels. In noise clipping algorithms the part of the magnitudes causing noise are clipped out of the pixel values. Bit slicing is formation of the image using on or more number of bits from the binary number corresponding to the pixel value. Negative formation is done by inverting the pixel values and assigning the closest appropriate number to the pixel. Histogram equalization: The distribution of the pixel values is changed in a manner that the histogram of the output has equal distribution. The operator required is the probability density function of the input image. Histogram modification: The histogram is modified by an operator derived from the probability density function. Density slicing: Density slicing operator works in the following. The input histogram is divided into a few sub sections. These may or may not be equal in distribution. The pixel value falling in a subsection is assigned a suitable numerical value. 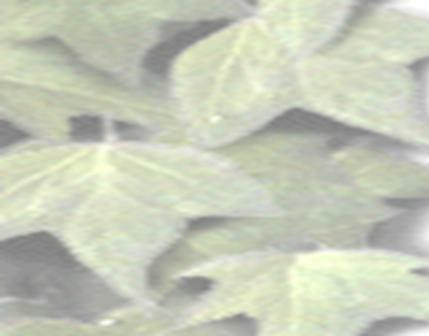 The resultant image is displayed as a gray level image or by assigning a different color to each numerical value. Spatial operators: The image enhancement is done by considering the neighborhood pixels. These operators are low pass filtering, high pass filtering, median filtering, directional smoothing etc. The image is convolved with a matrix of size 3*3 or larger to yield the output image. The nature of the operator chosen shall decide whether it is low pass or high pass etc. Multiple imagery based: More than one image are used in this type of enhancements. E.g. Image of the same scene with different band from a satellite scanner or images of the same scene of different dates may be used. The standard techniques used are as follows. False color composite: The images from satellite scanner are arranged to represent as NIR image = R plane, Red band image = Green band and Green band image = Blue plane. The vegetation on the ground with high NIR reflectance appears red can be distinguished from other green colored objects. Pseudo Color: The images displayed with color scheme other than the one described above is called as pseudo color composite. Depending on the specific applications different color schemes may be more suitable. Image Subtraction: The output image to be displayed is made from the subtraction of two images with adequate bias and gain. This enhancement is useful for analyzing changes in the scene. Band rating: The image formed by rating two bands or combination of them is the output image. This technique is suitable to eliminate the effect illumination condition, slopes etc. Some operators in this type of image enhancement have been commonly adopted e.g. the NDVI which is useful for measuring extent of vegetation. Some sensors like ultrasonic scanners, neutron radiography etc. generate one-dimensional data. The characteristic of the imaging techniques is such that the point-spread function is two-dimensional. Extensive mathematical treatment is therefore required for making an image from the data recorded. The processing techniques adopted in these applications are termed as image reconstruction. Segmentation: The image segments with common qualities are isolated. The techniques used are called classification techniques. These techniques may be supervised or unsupervised. The supervised techniques require the operator to specify the characteristic of the classes. This may be done by visually identifying an area belonging to each class or by feeding the relevant information like mean and standard deviation of gray values. Popular methods based on this technique are Minimum distance classifier and Maximum likelihood classifier. The unsupervised methods of classification do not need any interaction from the user. The classification process is automatic by identifying close resemblance characterization. The methods are clustering and histogram based techniques. Feature extraction: After classification is performed by any one of the methods the segments of the class of interest are combined. This process is called feature extraction. Boundary detection: Once the feature extraction is completed the boundary of the feature is detected. The boundary detection can be performed by either edge extraction or by nearest neighborhood method. The boundary is then coded in mathematical representation. The various representations used are chain code, quad tree, Fourier descriptors or b-spleens. Area mapping: The boundary thus detected and coded is used for mapping of the area occupied by the feature. Labeling: Individual areas are marked with labels. The labels need not identify the class or objects. Identification: The user after studying the spectral signature of the labeled class and using his airport knowledge whether by experience or by ground truth correlation identifies the particular feature or object. The data received for remote sensing is very huge. E.g. a 30 km * 30 km area image by IRS 1C LISS III sensor shall have minimum 3Mbytes and the corresponding PAN data shall be approximately 4MB. Storage and retrieval of this huge data is a complex problem. The data compression techniques are used to reduce this voluminous data. The techniques used are image transforms e.g. Fourier, cosine, KL transform etc. and coding techniques. The objective of the project was to build an RPM counter using Intel’s 8751 Microcontroller. The sensor for RPM measurement was a LED-LDR pair in conjunction with a wheel mounted on the shaft of the motor having Black and White Strips. The frequency of the signal is directly proportional to the RPM. The microprocessor system was required to measure the frequency output from the flow sensor and display the flow in 7 segment LED displays driven by Port outputs of 8751 via BCD to seven segment decoders. 1. Internal Timer ‘0’ to be configured for 64k so that interrupt from the timer arrives every 64msec. 2. Keeping the Timer 1 in counter mode controlled under software control through timer ‘0’ interrupt. 3. Reading the counter in every interrupt before restarting the timer/ counter function again. The LED-LDR combination works on the principle of measurement of light intensity. It can be used in light path interruption mode or in the mode of sensing reflected light intensity. In our setup light reflection phenomena was used. The arrangement used is shown in fig. 1. The resolution and speed of measurement can be increased to desired level by having multiple black & white stripes. Another possible arrangement is to use a toothed wheel and place the LED-LDR combination in such away that the teeth interrupt the passage of light between LED and LDR. The 8051 is an 8 bit microcontroller originally developed by Intel in 1980. It is the world's most popular microcontroller core, made by many independent manufacturers (truly multi-sourced). The 8751 instruction set is optimized for the one-bit operations so often desired in real-world, real-time control applications. The Boolean processor provides direct support for bit manipulation. This leads to more efficient programs that need to deal with binary input and output conditions inherent in digital-control problems. Bit addressing can be used for test pin monitoring or program control flags. Program memory: Up to 4 Kbytes of the program memory can reside on-chip. In addition the device can address up to 64K of program memory external to the chip. Data memory: This microcontroller has a 128 x 8 on-chip RAM. In addition it can address up to 64 Kbytes of external data memory. The Intel 87C51 is a single-chip control-oriented Microcontroller which is fabricated on Intel's reliable CHMOS III-E technology. Being a member of the MCS® 51 controller family, the 87C51 uses the same powerful instruction set, has the same architecture, and is pin-for-pin compatible with the existing MCS 51 controller family of products. Port 0: Port 0 is an 8-bit open drain bidirectional I/O port. As an output port each pin can sink several LS TTL inputs. Port 0 pins that have 1's written to them float, and in that state can be used as high-impedance inputs. Port 0 is also the multiplexed low-order address and data bus during accesses to external memory. In this application it uses strong internal pull-ups when emitting 1's. Port 0 also receives the code bytes during EPROM programming, and outputs the code bytes during program verification. External pull-ups are required during program verification. Port 1: Port 1 is an 8-bit bidirectional I/O port with internal pull-ups. The Port 1 output buffers can drive LS TTL inputs. Port 1 pins that have 1's written to them are pulled high by the internal pull-ups, and in that state can be used as inputs. As inputs, Port 1pins that are externally pulled low will source current (IIL, on the data sheet) because of the internal pull-ups. Port 1 also receives the low-order address bytes during EPROM programming and program verification. Port 2: Port 2 is an 8-bit bidirectional I/O port with internal pull-ups. Port 2 pins that have 1's written to them are pulled high by the internal pull-ups, and in that state can be used as inputs. As inputs, Port 2 pins that are externally pulled low will source current (IIL, on the data sheet) because of the internal pull-ups. Port 2 emits the high-order address byte during fetches from external Program memory and during accesses to external Data Memory that use 16-bit address (MOVX @DPTR). In this application it uses strong internal pull-ups when emitting 1's. During accesses to external Data Memory that use 8-bit addresses (MOVX @Ri), Port 2 emits the contents of the P2 Special Function Register. Port 2 also receives some control signals and the high-order address bits during EPROM programming and program verification. Port 3: Port 3 is an 8-bit bidirectional I/O port with internal pull-ups. The Port 3 output buffers can drive LS TTL inputs. Port 3 pins that have 1's written to them are pulled high by the internal pull-ups, and in that state can be used as inputs. As inputs, Port 3 pins that are externally pulled low will source current (IIL, on the data sheet) because of the pull-ups. Port 3 also receives some control signals for EPROM programming and program verification. RST: Reset input. A high on this pin for two machine cycles while the oscillator is running resets the device. The port pins will be driven to their reset condition when a minimum VIH1 voltage is applied whether the oscillator is running or not. An internal pull down resistor permits a power-on reset with only a capacitor connected to VCC. ALE/PROG: Address Latch Enable output signal for latching the low byte of the address during accesses to external memory. This pin is also the program pulse input (PROG) during EPROM programming for the 87C51. If desired, ALE operation can be disabled by setting bit 0 of SFR location 8EH. With this bit set, the pin is weakly pulled high. However, the ALE disable feature will be suspended during a MOVX or MOVC instruction, idle mode, power down mode and ICE mode. The ALE disable feature will be terminated by reset. When the ALE disable feature is suspended or terminated, the ALE pin will no longer be pulled up weakly. Setting the ALE-disable bit has no effect if the microcontroller is in external execution mode. In normal operation ALE is emitted at a constant rate of 1/6 the oscillator frequency, and may be used for external timing or clocking purposes. Note, however, that one ALE pulse is skipped during each access to external Data Memory. PSEN: Program Store Enable is the Read strobe to External Program Memory. When the 87C51/BH is executing from Internal Program Memory, PSEN is inactive (high). When the device is executing code from External Program memory, PSEN is activated twice each machine cycle, except that two PSEN activations are skipped during each access to external Data Memory. EA/V PP: External Access enable. EA must be strapped to VSS in order to enable the 87C51/BH to fetch code from External Program Memory locations starting at 0000H up to FFFFH. Note, however, that if either of the Lock Bits is programmed, the logic level at EA is internally latched during reset. EA must be strapped to VCC for internal program execution. This pin also receives the programming supply voltage (VPP) during EPROM programming. 5. Program and machine control instruction. 224 016A D2 AB  SETB ET1 ; TIMER INT. An optical pair consisting of a Light Emitting Diode (LED infrared) and a Light Dependent Resistor (LDR) configured in reflection mode with fly wheel pained in alternating black and white sectors on in transmission mode with the fly wheel having saw-tooth indentations on periphery, yields pulse waveform at its output across the LDR. The frequency of the output is proportional to the RPM. The sensor can be used for measurement of RPM and number of revolutions integration. Using this circuit we can thus measure RPM of any rotating structure such as motor etc. Whenever the wheel rotates the light from LED is reflected from a sector. More light shall get reflected from white sectors whereas black sectors shall reflect less light. LDR correspondingly shall depict less and more resistance. The output across the LDR shall be pulses in cohesion with the alternating sectors of the wheel. These pulses are then converted into digital form using an amplifier and comparator circuit to make them TTL compatible. This digital output has been given to the microprocessor 8751. Timer 1 input pin was connected to this input with and the timer was used in event counter mode. Timer 0 was used to limit the time of measurement. Counts registered within the interval of timer 0 were used as measurement. The counts were displayed on the seven segment LED displays. The displays were driven through BCD to seven segment decoder chip74247. The seven segment decoder chip drives the seven segment display and generates the pattern desired by BCD input. The BCD input of 74247 were driven by port 1 and port 2 outputs of the microprocessor. Each port has 8 pins. A BCD output requires 4 lines. Two decoders and correspondingly two displays are driven by a single port. The use of two ports thus allows four BCD numbers being displayed on the LEDs. As frequency is directly proportional to the RPM which is readable on LED display. The entire circuit was assembled and tested. It is possible to build a small processing system using 8751 whenever the number of inputs is restricted and are in digital form. The Boolean processing feature of 8751 provides very powerful tool for digital control application.